Stately 4 bed/3 bath home in Hidden Lake. Open floor plan with bamboo hardwood floors and fresh paint. Generously sized living room flows into the updated dining room and kitchen. The kitchen has hickory cabinets with roll-out drawers, large island w/breakfast bar, s.s. appliances and range hood, and french doors leading to a double deck with fantastic views. The large master bedroom has backyard views and en-suite bathroom. Completing the upstairs are 2 guest bedrooms and a full bath.Downstairs you'll find a large family room with Home theater, fireplace, bedroom, and full bath. 2 Kayaks included for use on private Hidden Lake. Lake rights for non-motorized boats or buy a membership for skiing. Side access to the yard for boat/RV storage, a large deck, garden beds & a storage shed. 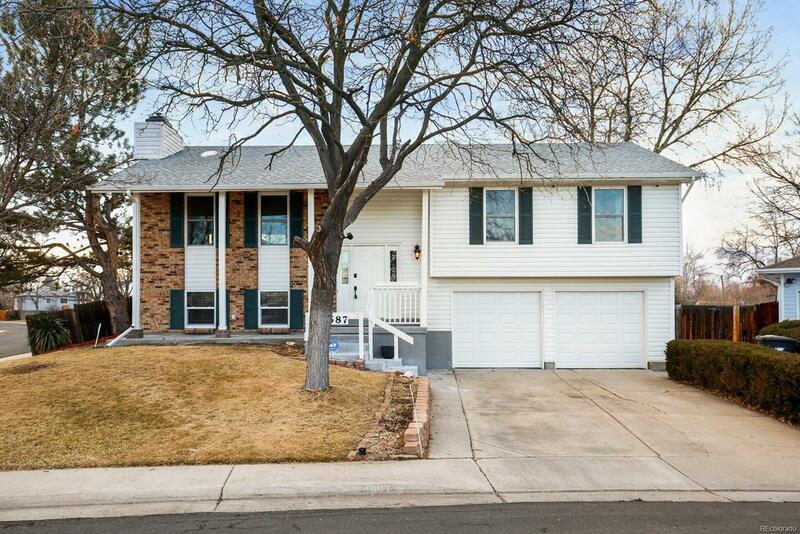 Walking distance to local high school, close to Tennyson St and Regis University. Just miles downtown Denver and Boulder.